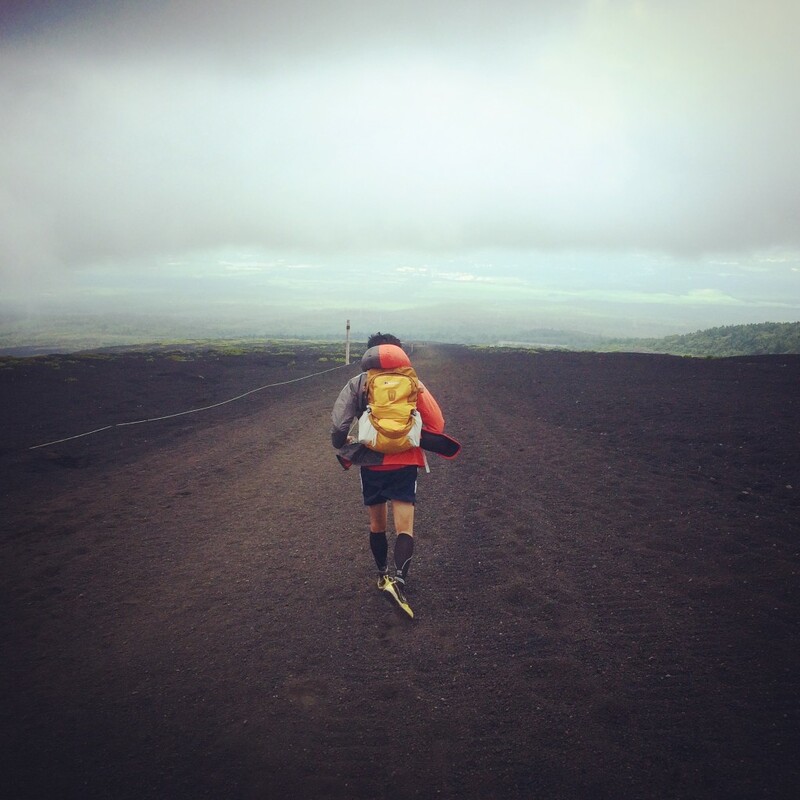 Every summer, there is a special race which is held which starts at the base of Japan’s tallest mountain, Mt Fuji, and goes to the summit. 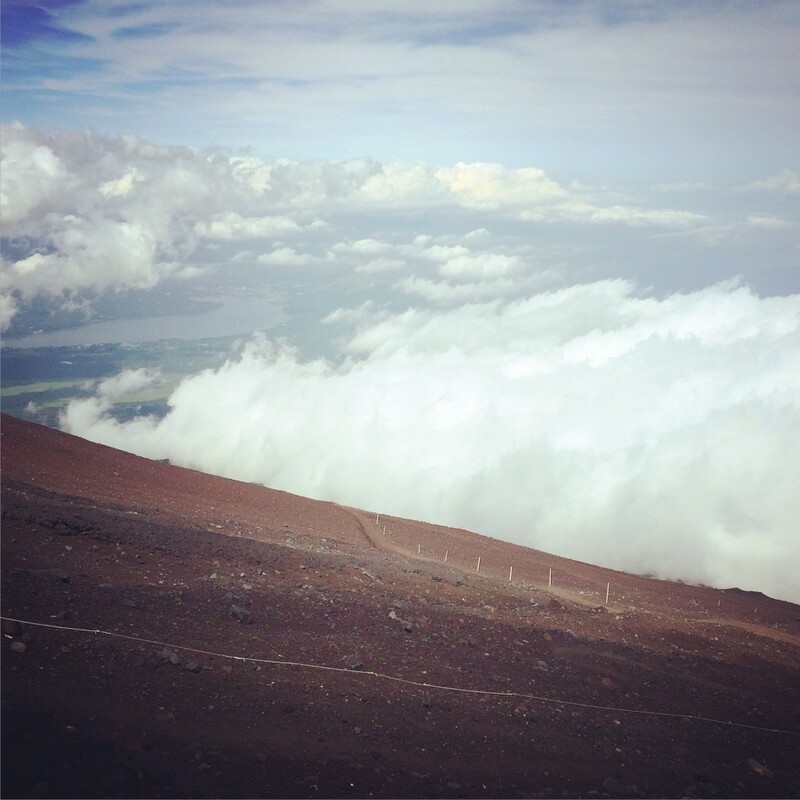 At 3776m, Mt Fuji is a majestic icon of Japan and became a UNESCO World Heritage Site in June 2013. This year, 2015, Derek decided to take part in the race and here is how his race unfolded. Basically there is nothing which compares to Mt Fuji in terms of altitude and terrain other than Mt Fuji itself. 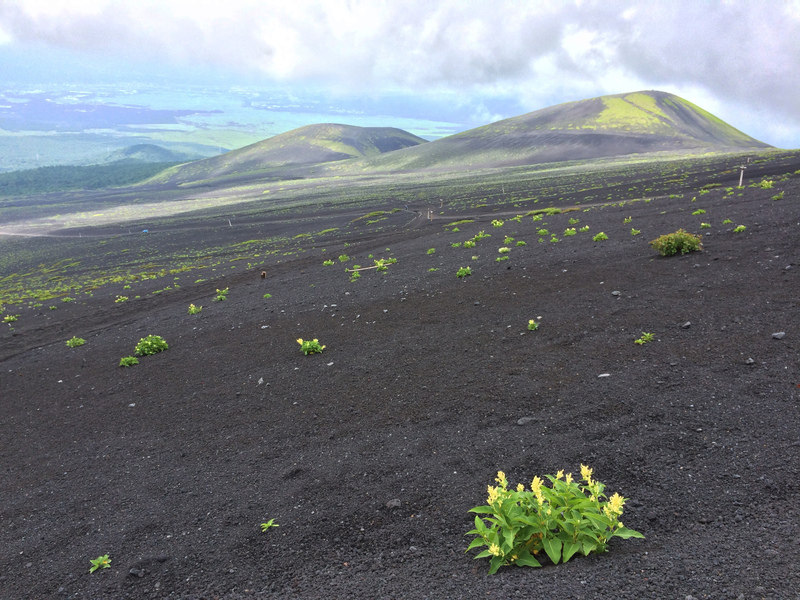 Thankfully, it is relatively accessible from Tokyo by car, bus or train, and has about four main routes to the summit. 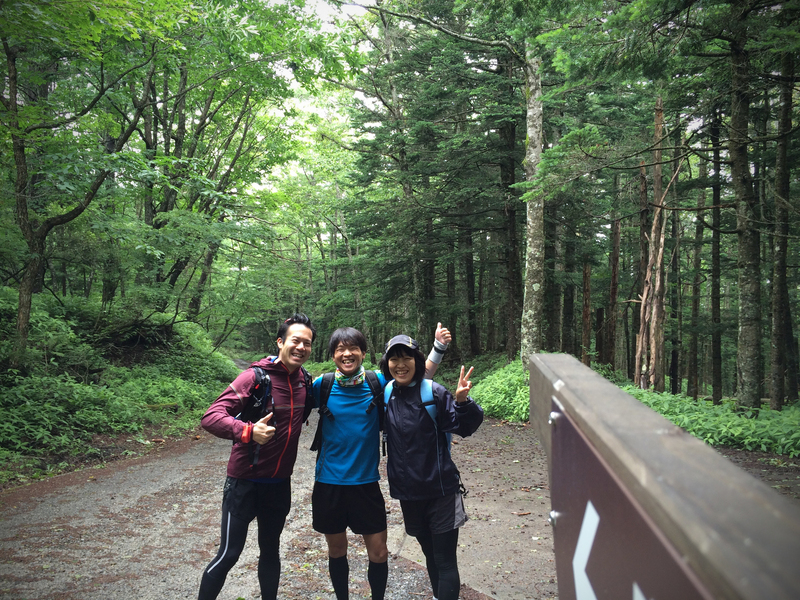 Three weeks prior to the event, I decided to go with friends, Eric and Yuki, via Mt Fuji’s New Gotemba route. I’m not sure why it is new, but it is from the Shizuoka prefecture side and is not so popular. We climbed one week prior to the official opening of the Mt Fuji climbing season. It was the first time for me to approach the mountain from this side and it was a lunar like landscape. 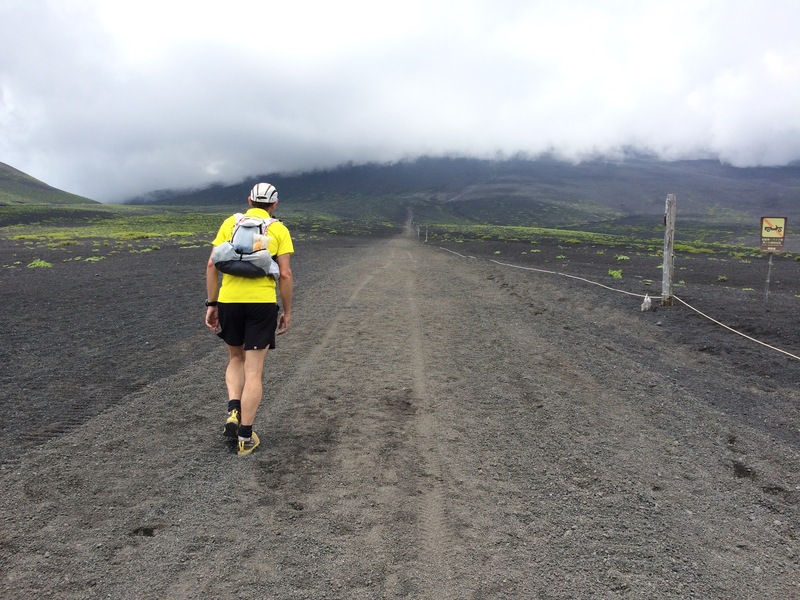 New Gotemba Trail, Mt Fuji. The volcanic earth is similar to walking on a sandy beach at times, which means there is energy being wasted through slipping and trying to get your foot unburied from the soft earth. Due to the off-season climb, the buses do not operate late, so we had to get back quite early to the fifth station. We still made it up to the 7th station (a bit over 3,000 metres elevation). On the way back down, it was so much fun to run the soft deep gravel path. It was incredibly fast method of descending too, and the made it back one hour before the bus was due to arrive. So rather than wait, we continued down the mountain to the train station. It was a kind of punishment for not making it to the summit that day, we joked. The following weekend, another two of my good friends Rie and Yuichi decided to climb, this time from Umagaeshi which is located on the Yamanashi side. It is called Umagaeshi, as it is the point where horses (uma) could no longer climb, and had to return (gaeshi). This can only be accessed by car, but is actually part of the race course. From there, we decided to climb to the summit. The trail, called Yoshida trail, was through dense forest at first and fairly steep. 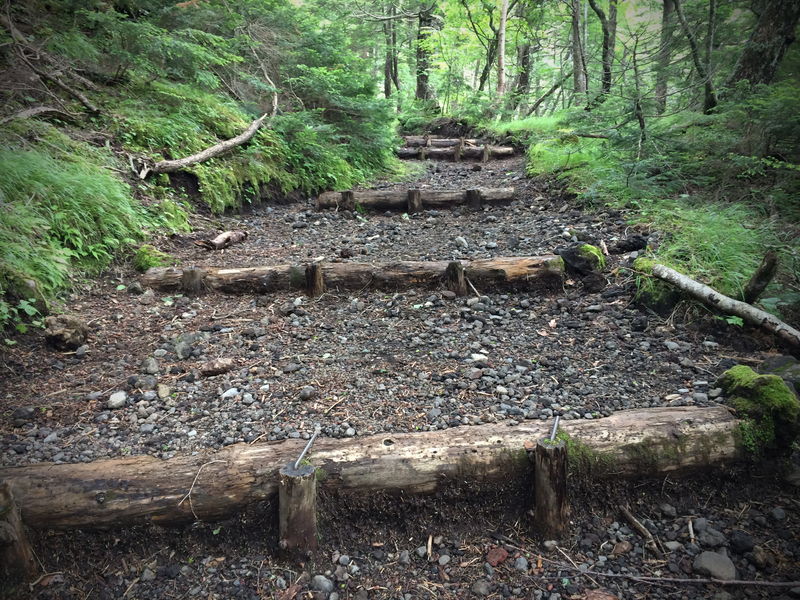 This trail then joins the popular summit trail after the fifth station. We made it in good time to the summit, however, the weather turned poor on the descent and we encountered a small blizzard which was very cold as we weren’t expecting snow! I have poor circulation, probably mild Raynaud’s with my extremities, and I certainly felt it on this day in my hands. Fortunately, a short break in one of the mountain huts helped a great deal, warming up my fingers clenching a hot coffee. The race started at 7am and so getting to the start line on time, meant a early 4:50 am departure. Registration was the day before, and usually I am not an overly superstitious person, but receiving a very unlucky bib number, 44, was not a good omen. In both Chinese and Japanese, and possibly other Asian languages, the number 4 sounds phonetically similar to death and is considered bad luck. Anyway, I turned it upside down, similar to what a number of cyclists do when they get a 13 as their bib number. 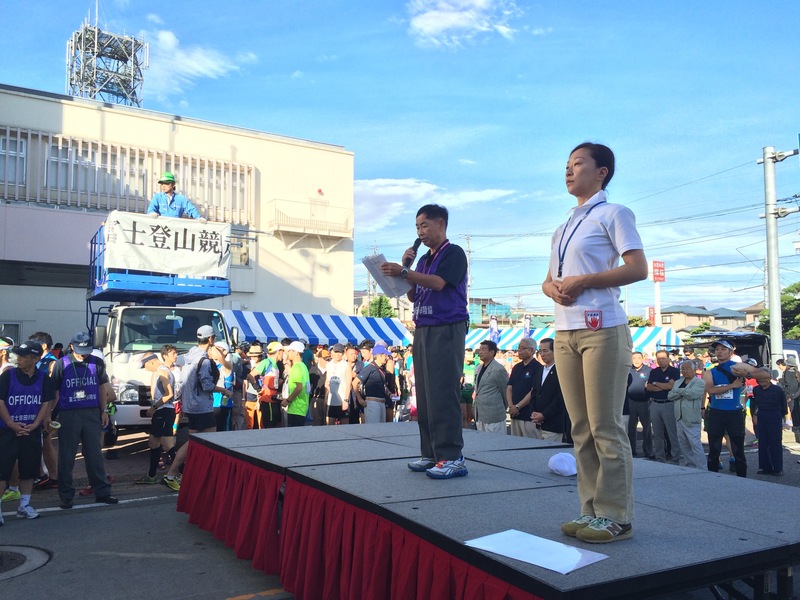 By 6:30am, the sun was already shining brightly and participants gathered at their respective starting blocks were getting hot and perspiring unrelentingly. At this point I questioned my choice of clothing. Arm warmers would have made sense at the summit, particularly after my last experience through the blizzard. However, it was said to be over 30 degrees in the sun that morning and it rained overnight so it was very humid. After the starting gun was fired, the first 10kms heads up the closed public road, through the sacred Sengen Jinji Shrine, where it finally bottle necks at the narrow Yoshida trail from Umagaeshi. The course was unrelenting, it only goes up, describing the path as 3,000m of vertical staircases would not be totally untrue. Furthermore, there are strict cut off times at checkpoints along the way, the last being the summit, which is to be done in 4 hours 30 minutes. 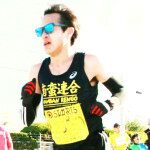 As a result, the first 10kms are brutally frantic. An annoying 3% uphill gradient, combined with high temperatures and every participant trying to get a secure place before it turns narrow. I felt like I should have practiced this section prior to race day. Shoe choice was rookie error number two. Wearing fairly sturdy and solid trail running shoes is a great idea for the rocky sections, but totally useless and heavy for the first 10km of road. I should have know looking at the other competitors that standard running shoes would have sufficed. 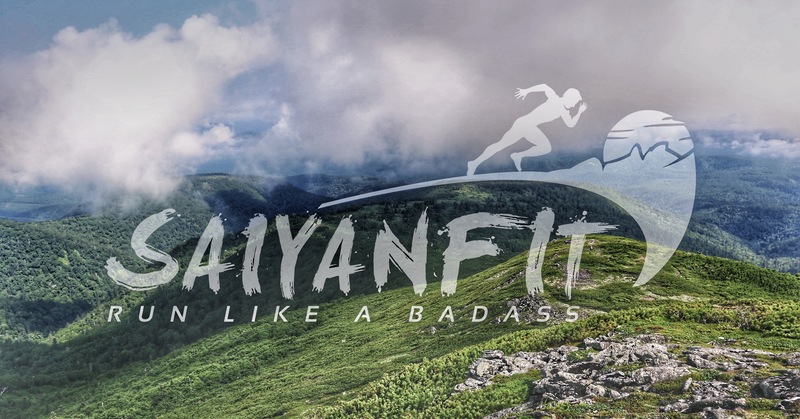 If a runner is suffering from acute leg pain in a forest, and runners striving for a competitive time are passing through, will anyone stop to notice? The answer is sadly, but understandably, no. It must have been about 30 seconds before I could continue on, any during that time, a great deal of participants passed through. After this, my leg didn’t feel quite right, the twitch and pain occurring in either left or right calf after any major step or increase in pace. 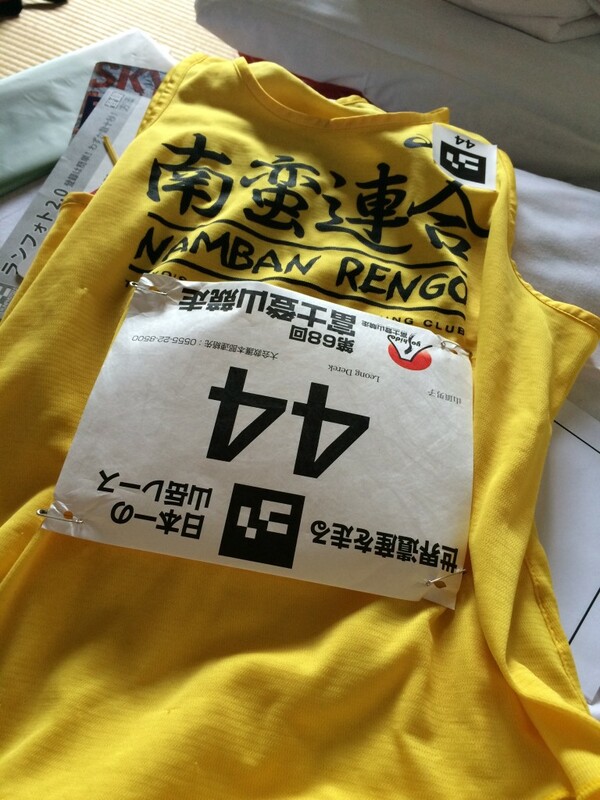 After all my years of running, I had to conceive defeat for the first time, a DNF, after the sixth station at 2400m elevation. 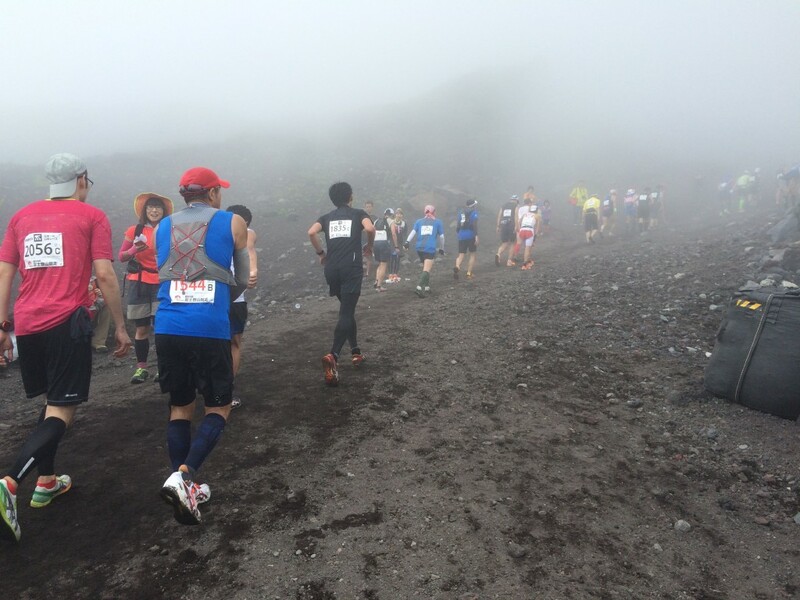 Visually, the scenery looked bleak at the sixth station, but I later heard from other runners that above the fog at the eighth station, there was a great blue sky. Given all of the above, there is still something which is very special about running this event. It is after all, one of the most recognisable icons of Japan. Am I tempted to give it another try next year? ← Heat: cope with it and .. love it ! Great report Derek and sorry that you had to retire. Sometimes it is the only option and I am sure that you will live to fight another day. See you at the track.